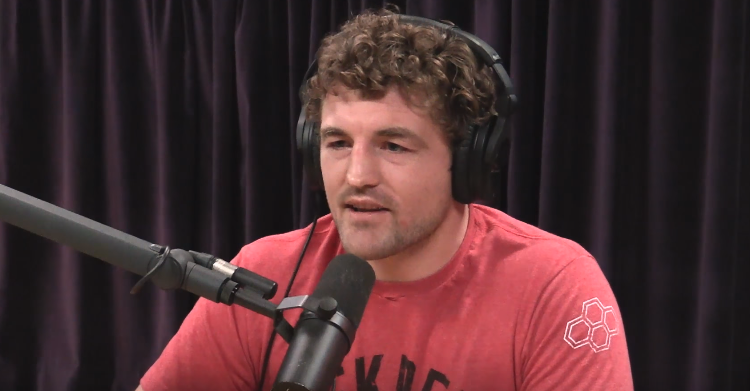 Invoking Joe Louis while hyping like Ric Flair, Ben Askren is looking to make his potential move to the UFC into a moment. Askren, who many considered to be one of the best fighters to never step inside the Octagon, is close to being moved to the UFC in a “trade” with ONE Fighting Championships. The move would see Askren released from his ONE deal in exchange for Demetrious Johnson being let out of his UFC deal, allowing both fighters to swap organizations. Johnson makes the move after losing his flyweight title over the summer, and his close ties with members of ONE’s management. While Johnson made only one public statement on the matter. Askren has gone full celebratory PR mode on his Twitter account. Legendary coach and former UFC lightweight champion Pat Miletich, would invoke late-era Cold War memories, when he would compare Askren to Rambo in a potential showdown against Khabib Nurmagomedov. The @UFC bringing in @Benaskren is like the U.S. funding and arming the Mujahedeen against Russia in Afghanistan. The enemy of my enemy is my friend. This is classic stuff because Askren is being brought in as a hitman. Askren would reply referencing the WWE Hall Of Famer, Iron Sheik, as he looks to humble the UFC lightweight champion. Nurmagomedov was not the only fighter invoking the ire of the “funky” one, as Askren would call out former interim welterweight champion Colby Covington. And while some fighters would call Askren out, the former ONE and Bellator champion would poke his fellow welterweights, who seem to have stayed mum on the issue. While Mike Perry and Jorge Masvidal may be some of the people Askren would publicly respond to, Askren made a sweeping declaration to his potential new bosses on Wednesday night. Whether or not the deal is completed in the next few weeks, the potential of Askren’s inclusion into the welterweight scene in the UFC has already sparked some conversation, as minds run wild with other potential “trades” and super fights, the wait seems to nearly be over to see what Askren can do inside the Octagon.